In this particular application, a car door is being tested. This test can be used to determine whether or not the door could function for a certain time period, or how long it will last before it fails. It works by using the hydraulic / pneumatic actuator to open and close the door within a given amount of time. The force that it uses to open and close the door is controlled by the load cell. This information is then recorded and analyzed for further assessment. 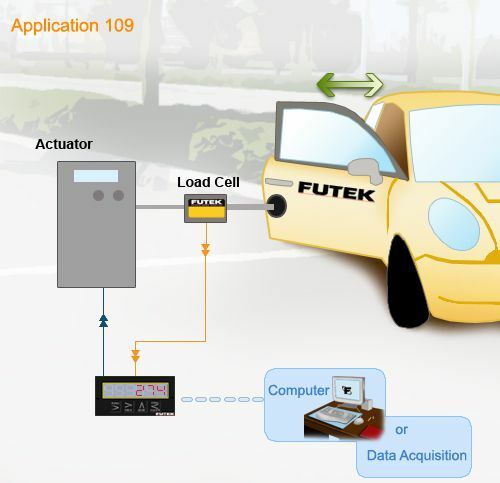 There are many applications for load cells in the automotive industry. Feel free to contact us for further assistance.